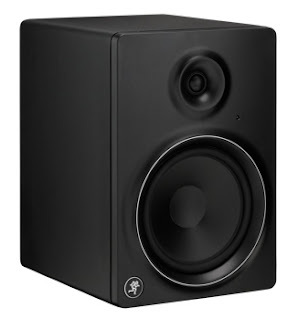 Mackie makes great products so I was so anxious to try these studio monitors out. The monitor has an 8" Driver and 1" Tweeter. Perfect for fine tuning a mix and you get an accurate sound to what your final mix will sound like in any audio medium. The 8" low-frequency driver and the high-output 1" soft-dome tweeter sound wonderful for any studio set up. One monitor retails for $250. For more info visit Mackie here.